As a soon-to-be mama, you care about the ongoing health of your baby—during and after childbirth. But even more so, you know your own health is just as important throughout your pregnancy, as well as after you deliver. Most of us prefer natural remedies when it comes to achieving optimal health as a mother after childbirth. This is exactly why so many new moms are engaging in placenta encapsulation. What Is Encapsulated Placenta and Is it Good for You? During gestation, the placenta surrounds the fetus and facilitates the flow of nutrients and other vital substances between mother and baby. 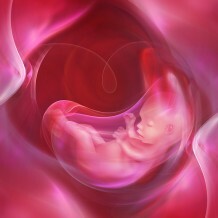 It acts as a hub for all the crucial health needs of baby during pregnancy. Most mammals consume the placenta after giving birth because of the amazing benefits it provides. Because of the powerful nutrients placenta grants to mama and baby, many women have decided to follow the ancient practice of consuming placenta that dates back centuries in Chinese medicine. In more modern practices, anecdotal evidence has suggested that taking desiccated placenta in capsule form may have a range of health benefits for new mothers, including higher oxytocin levels and increased breast milk production. Expectant mothers interested in this practice should talk to their doula or healthcare provider about proper handling and preservation of their placenta. It’s important to note, women typically take their own encapsulated placenta for health benefits, and not the placenta of others. A study by the American Journal of Obstetrics and Diseases of Women and Children even shows that consuming placenta may have a profound effect on your baby’s immediate health after delivery. In this study, mothers who consumed encapsulated placenta produced milk that contained more protein and lactose than those who did not. The study also showed that babies that were breastfed by mothers who took encapsulated placenta were found to be healthier than those who drank breast milk from mothers who did not take placenta. Making the choice to encapsulate your placenta early, before you give birth, allows you to find the best placenta encapsulation specialist. If you’re giving birth in a hospital, you’ll also want to find out how your hospital of choice handles placenta. Knowing this may influence your birthing choice. For example, you may opt to hire a doula and give birth at home. For safe consumption, your encapsulated placenta should be handled by a professional who specializes in converting it into capsule form. For mothers who give birth at home, the placenta can also be safely kept at home before encapsulation, but professional specialists and pregnancy organizations say it should be handled and refrigerated in the same way any other meat product would be. If you’re considering placenta encapsulation and having a doula-assisted birth, Debra has been a Certified Placenta Encapsulation Specialist for more than four years. She is also a Certified Professional Doula for both labor and postpartum, helping you get through all stages of pregnancy. She expertly and compassionately handles placenta encapsulation and tincture reservation, so you and baby can reap the crucial health benefits the placenta provides. To find out more about Debra’s Labor, Birth, and Postpartum services, including Placenta Encapsulation and Prenatal Yoga Classes, please call (305) 498-6722.